I love Tides and I need more in my small setup. So here we are. The panel is double side. 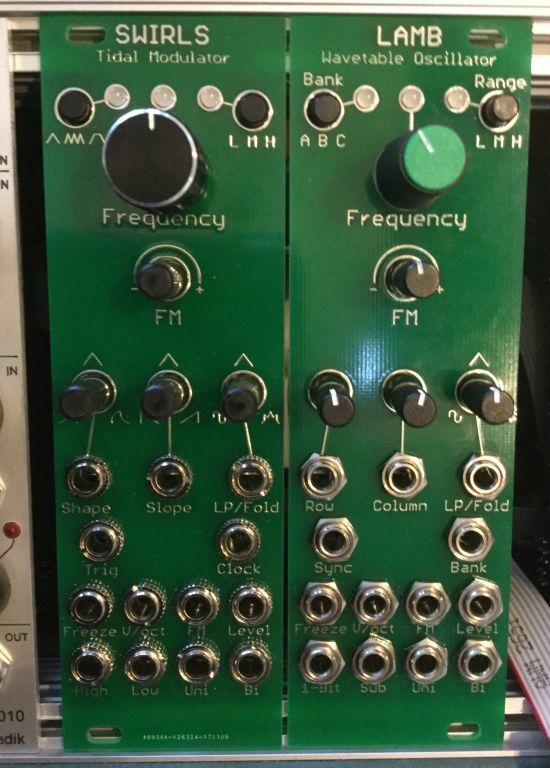 One side for the original Tides firmware, the other side for Sheep. The files are here . Cool, did you made this using available info online from mutuable instruments? Yes I did. All the Eagle files for all the modules are available on the MI Github. Neat! Did you solder them too? That qfp is so clean! Can you post side facing pictures? Did you solder them too? That qfp is so clean! Can you post side facing pictures? Just a single board! Nice! 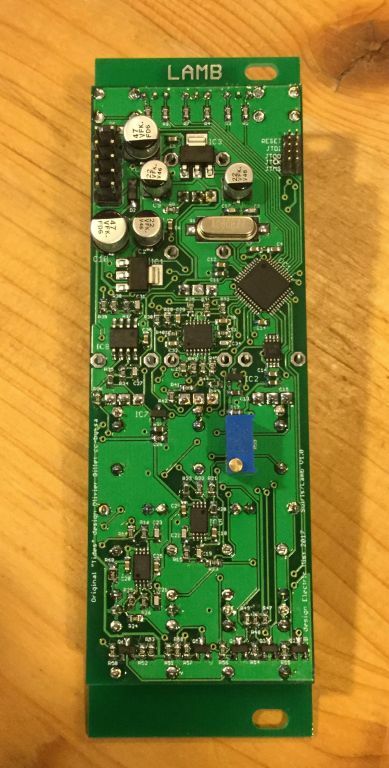 So did you used hot air soldering iron? Yes I did for most of the components. But I use a classic soldering iron with a small chisel tip and a lot of flux for the fine pitch ic’s. I thought the exact opposite! May I ask why? Oh my god I literally opened Muffwiggler to see if anyone was working on something like this and this was the top topic. 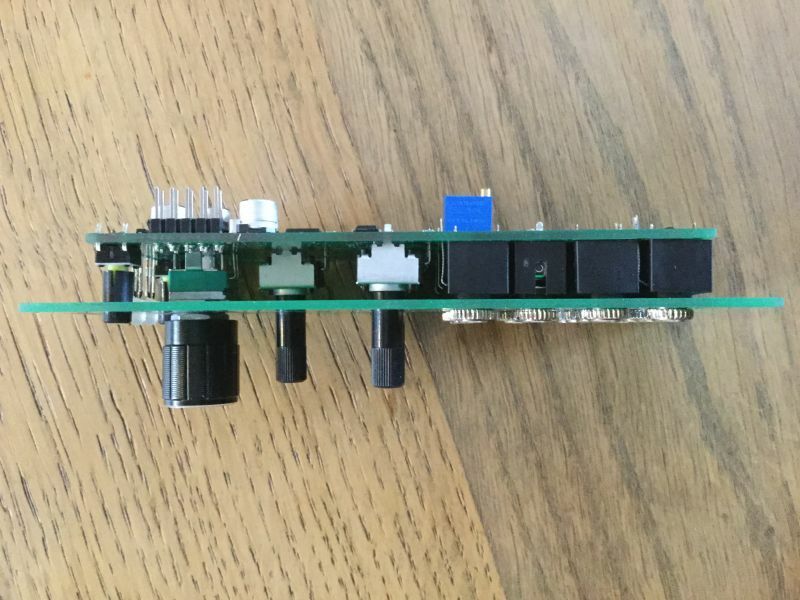 I would love to do something like that in the future, now, I'm just etching/drilling my pcbs and panels (it's a real drudge work ) I'm working on a extended baby10 sequencer and fixing my diy nonsense 15v from scratch eurorack system. One day! 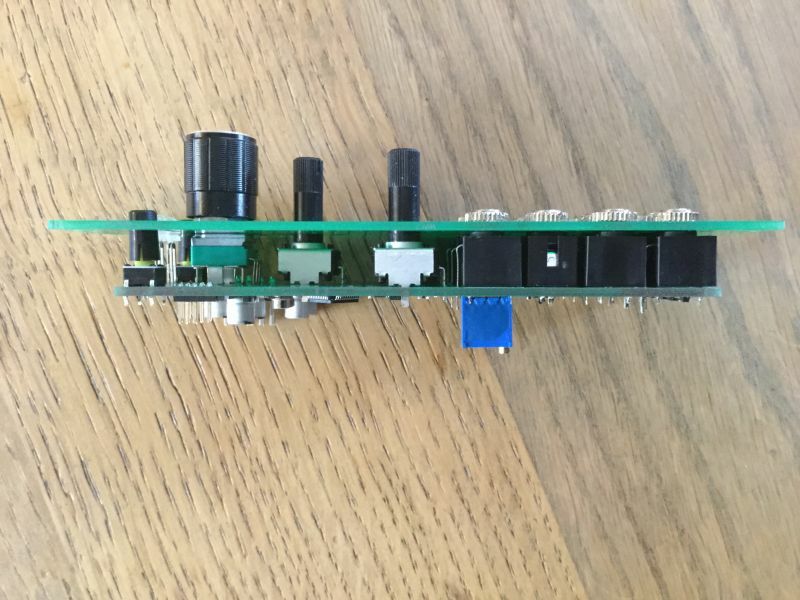 If you are interested in a DIY sequencer and if you want to start working with smd you should take a look at the Atumbra Rot8. I think I saw that one, looks cool! But I'm extending the baby 10 sequencer myself as an exercise I lay out the pcb, after that I would like to get pcbs manufactured. I like the way you shrinked those modules and I would like to do something similar. Anyway I'm not interested in building stuff from kits! I'm also interested in programming micros(I think I will do a quantizer from scratch). This was the idea too with this project. The nice thing with MI stuff is there’s a lot of useful informations in the original design files. Good work, very excited to have one of these as Tides is indispensable in my rig. I am struggling to open the board (V1 or V1.1) file..is says "line 8, column 16: This is not an EAGLE file." Also, has V1.1 been tested yet? I just tried to download the .brd files and both work fine in Eagle 7.6. I don’t know what is the issue you encounter. The v1.1 in untested yet. If you’re plan is to have some boards made, don’t forget to built the ground plane (running the ratsnest function) before you export your Gerber files. And don’t forget to check the .cam files requirement of your pcb fabhouse. I use EasyEda for my proto boards cause they provide their cam files and you can check your board in the Gerber Viewer.